This picturesque par 3 over water might well be the best hole at L.A. Nickell. 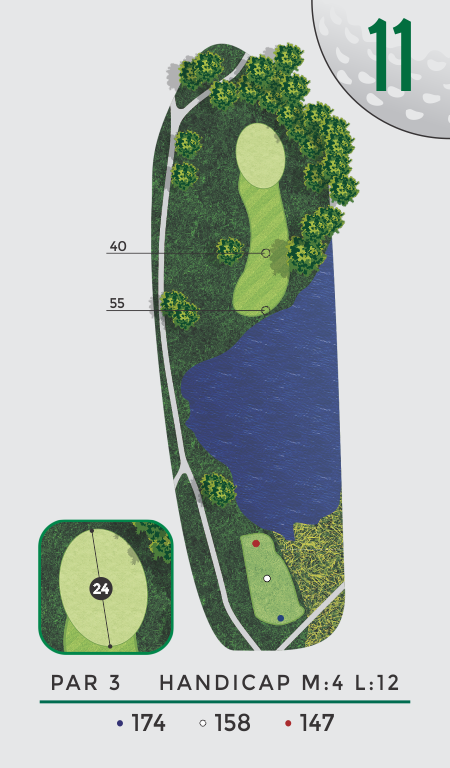 A tree guarding the left side of the green demands a very accurate shot to this small, elevated green. If in doubt on the tee, take one more club here to get to the putting surface.